UPDATE! All donations have been delivered! We were able to purchase 8 new projectors from donation funds. We also collected enough clickers to create 2 full classroom sets that were also donations. Alongside our Books for Belize campaign, we donated projectors, books, and school supplies to 8 primary and high schools in Cayo District, Belize. We also donated over 1000 books to the Succotz Public Library and Benque Viejo del Carmen Public Library. Thank you to all donors and supporters! Please see the Books for Belize post to view our Thank You Newsletter with information about the donations and Succotz Archaeology & Cultural Fair! 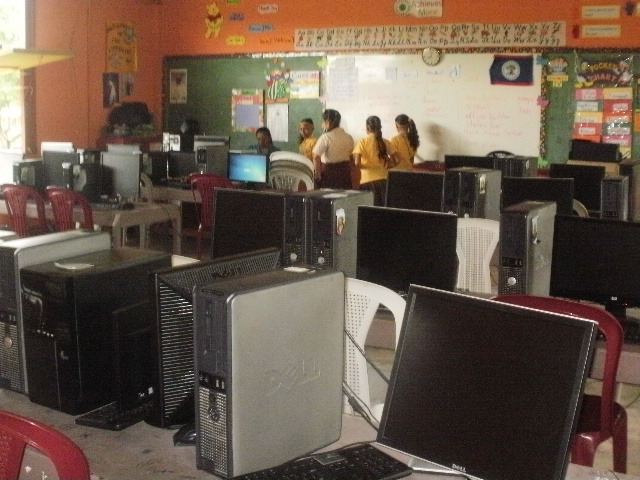 We are working to bring technology into kids’ classrooms in Belize, Central America! We are raising money and accepting donations of functioning digital projectors and clickers (remote-based student response systems) for Mount Carmel School in Benque Viejo del Carmean, Belize! YOU CAN DONATE HERE and find updates on the project! 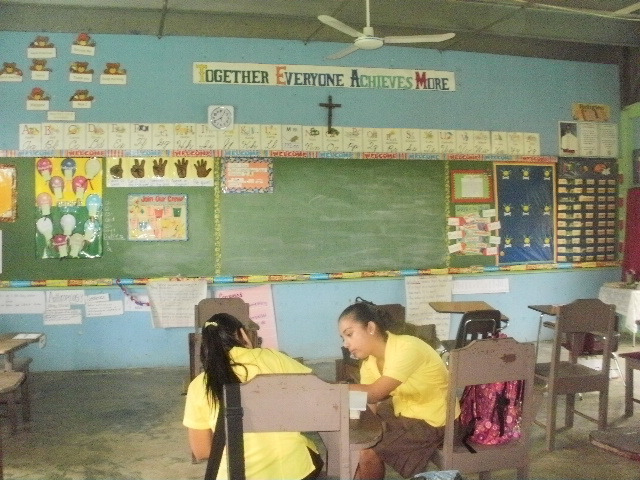 Meet students and teachers at the Mount Carmel School in Benque, Belize! Teachers at Mount Carmel School, like Robert Hernandez, are working hard to integrate technology into their students’ education. Access to and experience with different technologies provides Mount Carmel students with opportunities to develop important technological skills and pursue interests and careers in technology fields. Just like schools in the United States, Mount Carmel wants to give their students the best opportunities to succeed in our rapidly changing and tech-centric world. Mount Carmel has been able to establish a computer lab for its students. Some other technologies are more difficult to acquire in Belize. 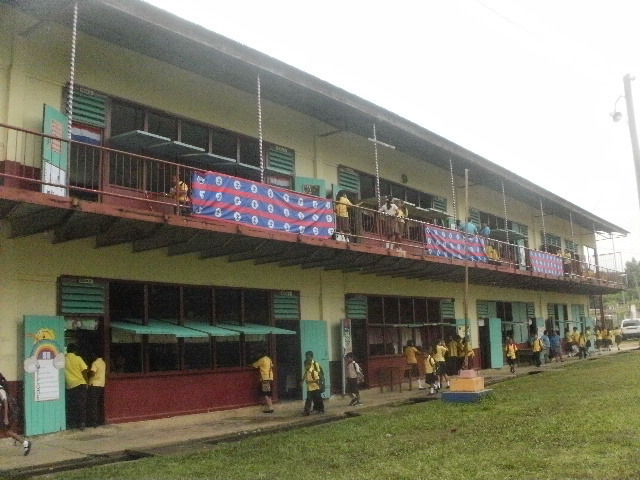 As of now, Mount Carmel School only has access to one digital projector. Robert Hernandez purchased the projector with his own personal funds to use in his classroom and teach his students about technology, show videos, and offer visually stimulating lectures. This one projector cannot meet the needs of the entire Mount Carmel School. We are seeking donations of functioning digital projectors with standardized PC output ports to benefit the classes at Mount Carmel School! Monetary donations are also accepted. We will use these donations to purchase gently used digital projectors through outlets such as eBay. Gently used digital projectors range from $50 – $100 on most outlets. In addition to digital projectors, we look forward to donating clicker systems to Mount Carmel School! Clickers are remote-based student response systems that have been used on college and secondary school campuses in the US for many years. There is a good synopsis of the functionality of clickers here: http://www1.iclicker.com/ . Teachers can design presentations with embedded response questions, surveys, and discussion questions that students can respond to using personal or group clickers (specialized remotes) directly in class. The results of the question, survey, or poll can be displayed in real-time, meaning the teacher can gauge comprehension of material right in class rather than waiting for the test and the students can learn directly from the responses! Teachers can display anonymous results to the class in real-time so the students see correct responses and improve their knowledge immediately. The technology is currently unavailable in Belize. With this fundraiser, you can be a part of getting this learning technology into the hands of Mount Carmel kids and improving their learning opportunities! We will be collecting donations of clicker base stations (for teacher use) and clicker remotes (for student use) as well as monetary donations to purchase gently used options. Used clicker remotes range from $15 – $35 depending on version and age. Benque Viejo del Carmean is a large town located on Belize’s western border with Guatemala in Cayo District. 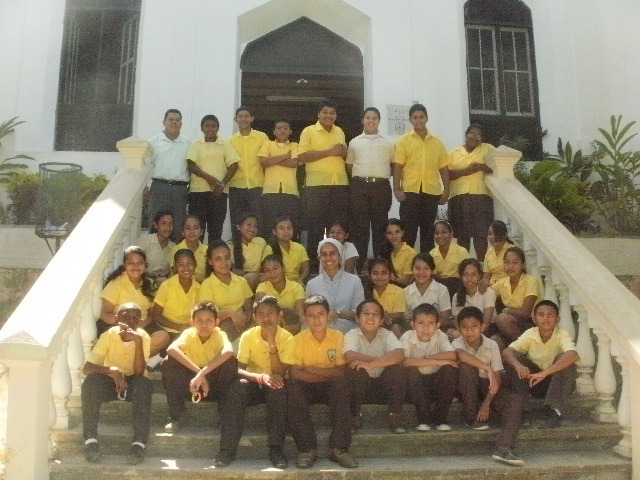 Due to the school’s proximity to Guatemala and their mission to provide education to all children, Mount Carmel School is open to both Belizean and Guatemalan kids. With your support, these kids will have access to new technologies and become better equipped to enter a diversifying and increasingly tech-savvy global workforce! Our goal of $800 will allow us to purchase 2 gently used projectors and up to 30 clicker remotes for a whole class set! We hope to go above and beyond this goal through physical donations of gently used projectors and clickers as well!